Tweet Sometimes it's easy to fall into the trap of saying "I'm a writer...but what now?" 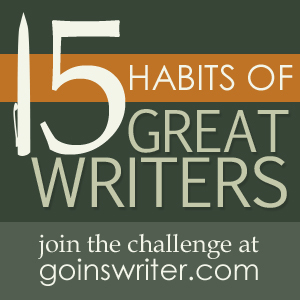 Well we all need to keep working on improving ourselves (see my post on continued professional development for writers) and I've decided to devote the next few weeks to working on Jeff Goins' 15 Habits of Great Writers program. There. It's online so that makes it binding. 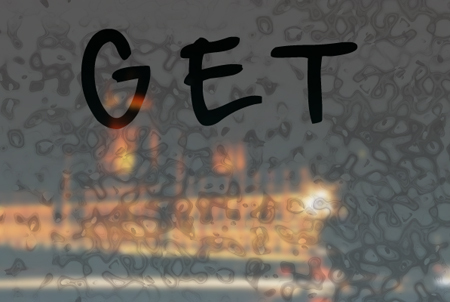 Day Two is all about belief - something with which I often struggle. Belief implies blind faith in something, and I'm the type of cat who appreciates empirical evidence and tangible proof. Jeff wants everyone to get up two hours early and do nothing but writing. Now, I get up at 6:30 for work, and there is no way I'm getting up at 4:30, particularly since I often don't get to sleep until well after midnight. He says "this is how you know you really believe something". Well I disagree on this point, but I WILL be building an hour of writing into my day. I can't see the point in waking myself up early to write when I know my brain won't be working yet, and I'll just stress about it if I find I can't achieve it. So I'll be making the task more achieveable by tailoring it to fit how I work. I won't be blogging my progress on a daily basis, but I'll try to keep you updated as to how I'm getting on. Why don't you join me? 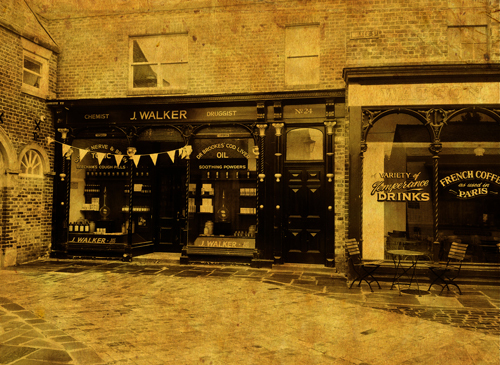 The 88th prompt is Victoriana. Tweet I don't normally post about things in my life outside of writing but I thought, in the spirit of the day, I'd break with tradition and talk about both current events AND one of my hobbies! 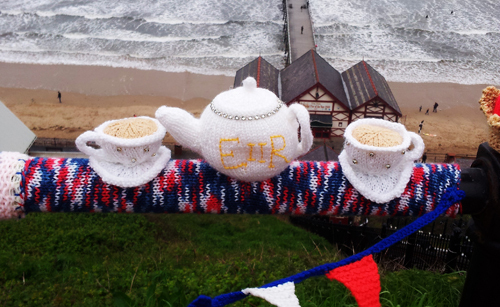 As some of you know, I'm a keen knitter and I really enjoy putting together new projects. Well everything I've ever done pales into insignificance alongside the recent yarnbombings in Saltburn, North Yorkshire! 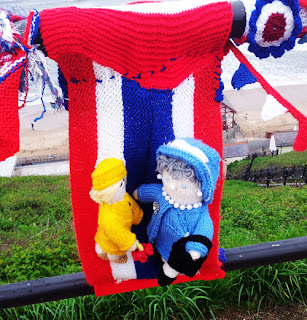 Yarnbombing is essentially graffiti composed of knitted or crocheted objects, although it doesn't damage its environment and it's easily removed. 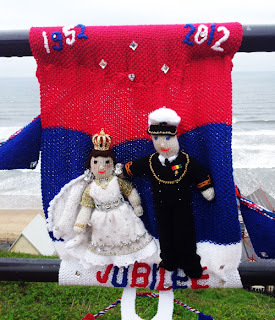 In Saltburn, the guerilla knitters first struck with a set of Olympic themed figures along the pier, and now they've done the same for the Diamond Jubilee up by the clifftop lift. Aren't they fantastic?! 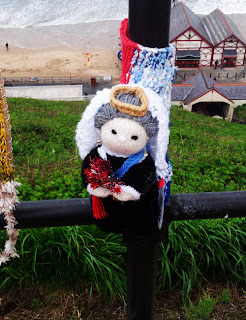 I think this might be the Queen Mother but I'm not sure!